JOHN BOLTON EXCLUSIVE! If everybody else had these stories they wouldn't be exclusive. GOING FULL CAPTAIN After ten long years selling rum in Australia the Captain is back in the game. 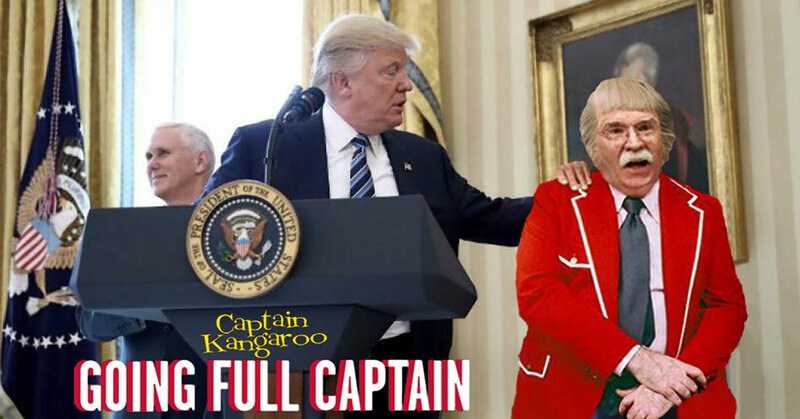 John Bolton stars as Captain Kamgaroo, the new National Security Advisor to a madman President played by Donald Trump. Captain Janeway is released from prison and joins the new team at NSA. It's not easy to get free media attention. They give speeches and vie in conservative straw polls but the mainstream media takes little notice. 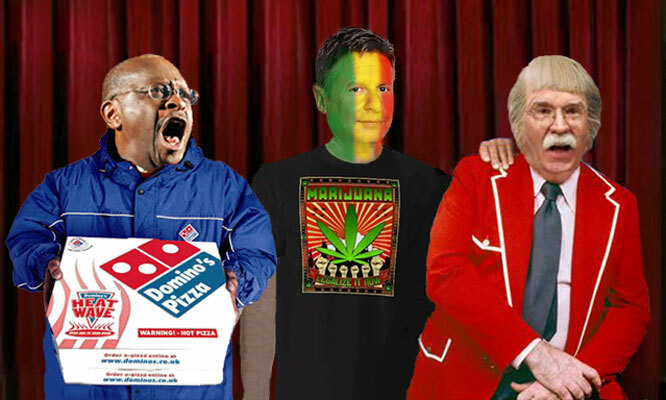 Former pizza mogul Herman Cain won a Tea Party straw poll in Phoenix by feeding a ravenously hungry crowd free pizza with rhetorical red meat toppings. Former New Mexico Governor Gary Johnson has shown previous straw poll support due to his call for marijuana legalization but many of his people feared driving in Arizona. FOX sycophant, John Bolton, opines for preemptive nuclear attack on Iranian nuclear facilities to prevent a nuclear threat but that doesn't poll well in Arizona where the Mexican drug cartels are the enemy of choice. March 2, 2011. After Party BBQ.